Please, Help Us Help Niko! Niko is an adorable 14 month old Yorkie who was attacked by another dog and had to undergo surgery. Niko had the surgery but All For One Pet Rescue did not raise enough money to pay for it. 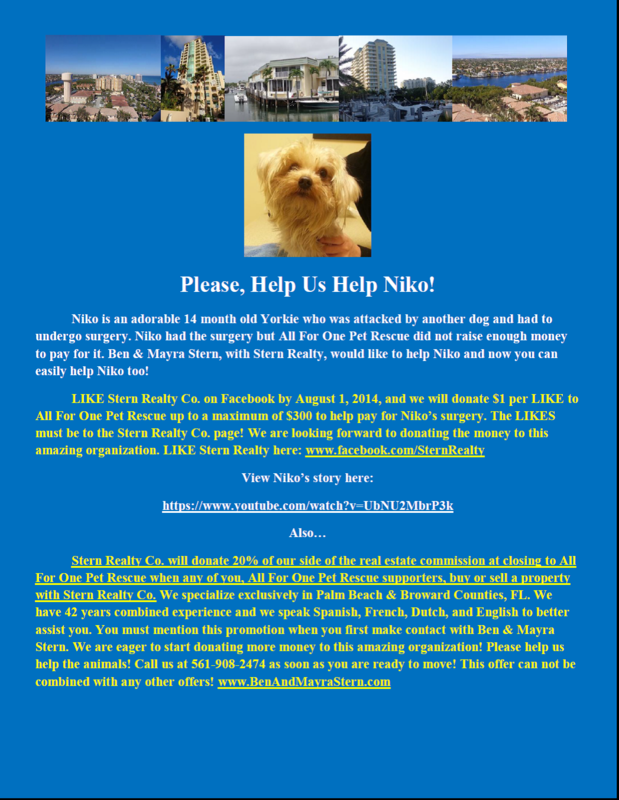 Ben & Mayra Stern, with Stern Realty, would like to help Niko and now you can easily help Niko too!